Once again from the Resorts World Manila who brought to us KAOS and The Sound of Music comes another timeless tale of Love, Family and Culture that transcends time. Ladies and Gentlemen, May I present you, Rogers and Hammerstein's The King and I. Based from the 1944 novel written by Margaret Landon chronicling Anna Leonowens' memoirs, as she was chosen to become governess to King Mongkut of Siam’s many children in the early 1860’s. The King and I tells the exploits and struggle of a British schoolteacher and her life in a foreign land, corrupted by clash of emotions and an unexpressed love for the King. Directed by the 3 time Aliw Awardee Freddie Santos, theater goers will be sure that after The Sound of Music, the bars will be raised one step higher to serve everyone a quality show specially on bringing Siam's Majestic world to the contemporary era. 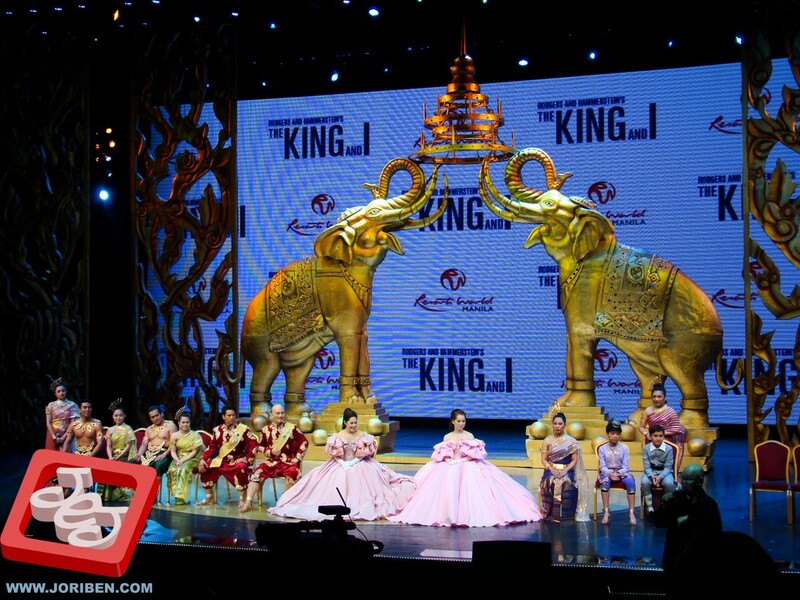 Catch The King And I and be enchanted once again by this boundless romance that makes millions of audience fall in love all over the world for decades. 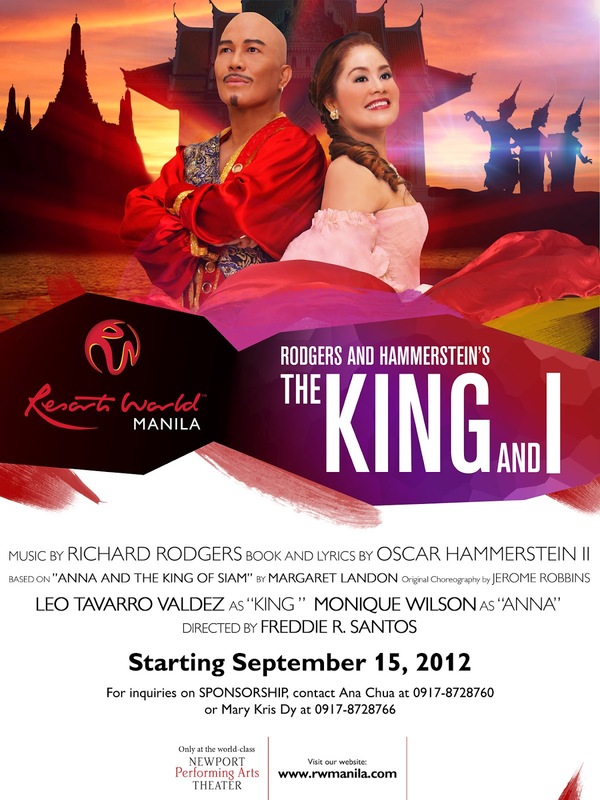 Opening in Manila on September 15, 2012 at the Newport Performing Arts Theater, Resorts World manila. Tickets are now on sale at the Resorts World Manila Box Office and all TicketWorld outlets. For more information on The King and I schedules visit www.rwmanila.com or call the Tourist/Visitor Hotline at (632) 836-6333.